A social media community exclusively for seacows. You have found the best social media app designed for connecting seacows across the globe. Enjoy premium streamlined sea cow content. Made by sea cows. For sea cows. In a social atmosphere. We take pride in our premium relevant daily content feed that is exclusively curated for Sirenians just like you. Sign up today to receive all sorts of social media updates from your under water friends. Secure and private. Just for sea cows. Free forever. Under water. Are you a sea cow? A manatee? A dugong? Or any other Sirenian? Ad free! Sea cow dot social is an ad free forever application. We only make you look at things that are not ads, that you actually want to look at. 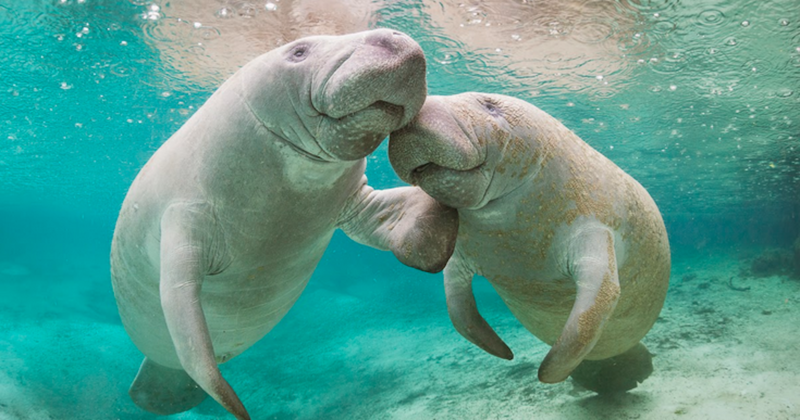 Like products you are interested in because you are a sea cow, dugong, manatee, or other sea mammal. We never collect your personal information. Ever! Totally secure! Our completely invasive and undetectable data collection techniques are totally opaque to you because of our proprietary systems. If we did collect data about you, you wouldn't know it and you agreed to it anyway. Plus we only use it for marketing purposes, to make sure that your under water timeline is displaying the most relevant sea cow premium content. You decide what you see! Since we don't display ads or collect personal data your timeline is displayed just like you want! Our deep neural net interprets all of the things that you have been doing on all of your devices that we have been able to discover in order to determine what you have decided to see, without you needing to think! It is the most killer whale of a social media web app that all your ocean based friends will enjoy from any device - desktop, mobile, on TV, or even in flight!